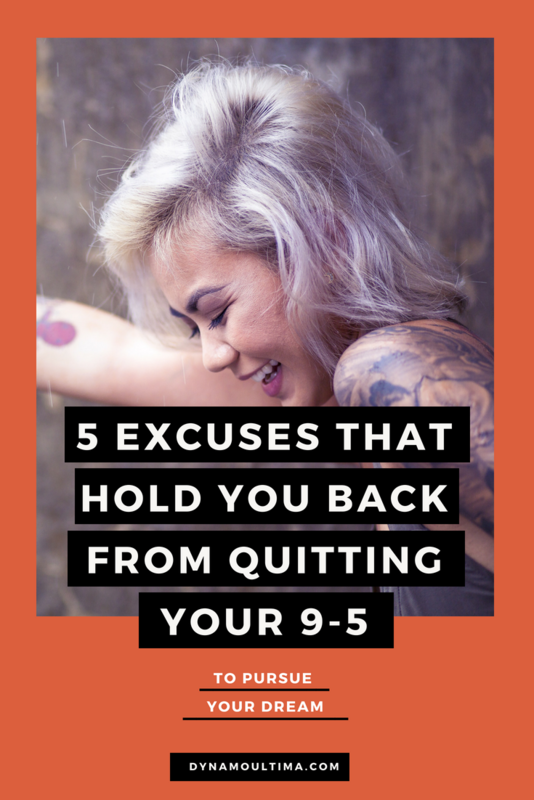 5 Excuses That Hold You Back From Quitting your 9-5 — Dynamo Ultima | Branding, websites, workshops & beyond. If you’ve been following us for a while, either on our blog or in our videos (or both), you probably have a general idea of what working from wherever means and if you have been tossing around the idea of doing the same, you may even have a few ideas of different types of work you can do. In this blog, we want to help you get started on that idea, even if you haven’t totally narrowed down what it is you are going to do. Going all in means giving it all you’ve got. Diving in the deep end. Getting onboard without a plan and going with the flow. Aside from believing in yourself, going all in is probably the number one most important rule when deciding to do anything new and crazy in your life. It’s easy to get comfortable; it’s easy to go through the same routines day in and day out. This is why it’s really a challenge for many people to start something new and actually follow through with it. You have to decide from the get go that you are jumping in and never looking back. If you aren’t committed, determined, motivated, or truly invested in this, you will not see any results. You will go back to your regular job, regular life, and struggle through starting your dreams to make a remote lifestyle work for you. So, you have to decide right now whether you want this enough. You have to tell yourself, even though I have no idea what’s going to happen… I am going to go all in. It’s definitely a risk that you’re going to have to take. But nothing great has ever come from being only 85% committed. If you are constantly telling yourself it’s hard, overwhelming, and you don’t know where to begin, you are already accepting that as your truth. If you tell yourself it’s going to be hard, it will be. I ain't gonna lie, this isn’t easy. But constantly thinking about how hard it’s going to be is just going to make you focus on everything negative, which is going to attract more negativity into your life. Start by changing your thought patterns. By simply telling yourself a different story, you’ll find it’s going to be easier to get through the challenges that come your way because you’re changing what you believe to be true. This is probably one of the biggest excuses that anyone can conjure up when they are afraid of doing the work. 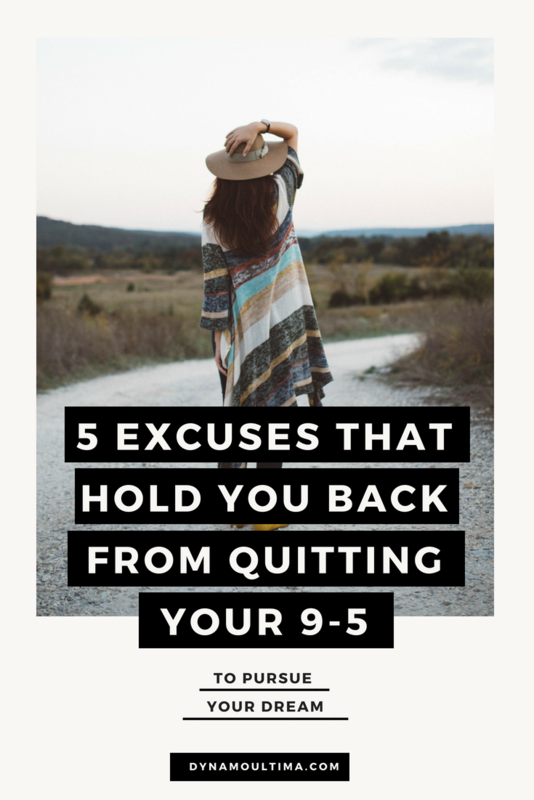 Yes, you may have a full time job, school, kids, or other circumstances that make your lifestyle a little more challenging, and that causes you to have less time on your hands. But, I’m gonna break down that excuse. If you have time to sit on your bum and watch Netflix, then you have time. If you have time to scroll on Instagram or watch YouTube videos, then you have time. 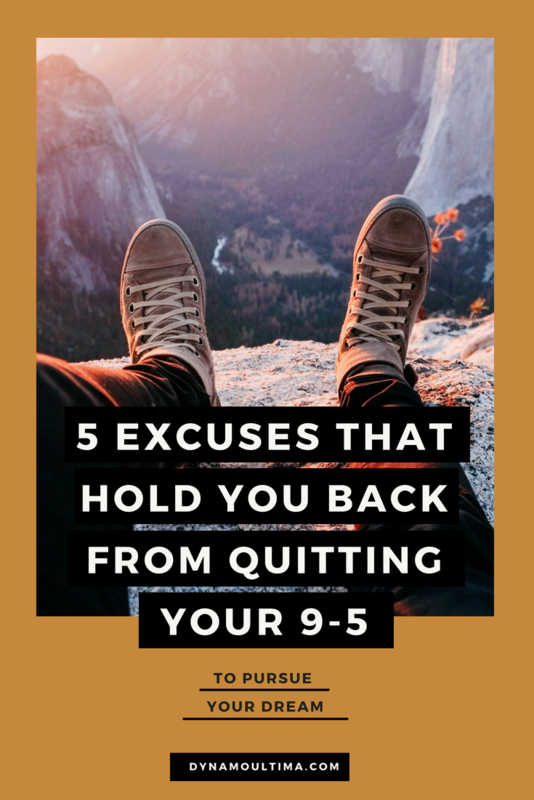 If you are too tired when you get off work to work on your business ideas, then you must not want it bad enough, or you’re making excuses for yourself. You have to want it enough to MAKE time for it. Wake up an hour earlier than your kids and dedicate that time to building your business. Use your hour lunch break to read articles, books, and learn a new skill. Schedule every Sunday as the day you work on your portfolio. If you’re too busy, then eliminate some activities from your schedule. Make this a priority. Make this worth your time. If you’re worried about making money, then hop on board the entrepreneur express. All of us have money concerns, EVEN people that are already making consistent income. If you constantly stress and worry about making money, then you will only attract more stress and worry about money. You have to flow through life with more positivity, belief, and determination. Worrying about making money isn’t going to help anyone or anything. Well… you can learn some. It’s really easy to take some time out of your day to learn a new skill. If you want to be a hand letterer, grab a pen right now and start hand lettering. If you want to be a professional website designer, start designing your own website or take a free coding class. You can do anything you put your mind to, you just have to take the first step and do it. It’s kind of similar to one of my goals. I’ve always dreamt of being a yogi. I love yoga, and I wanted to go to yoga class often. I would dream about yoga. But, I would never do it because, “I wasn’t a yogi.” This was a limiting thought I was putting into my own head. Instead of letting that rule me, one day I said, “I AM A YOGI.” I grabbed a yoga mat and started doing yoga every morning. Now I am a yogi. I don’t have to dream about it or look at photos of it, because I just do it. If you want some skills in a certain area, just start. Right now. The thing about motivation is that everyone is searching for it, but motivation doesn’t happen by sitting around and waiting for it. You have to just force yourself to do something even when you don’t feel like doing it. Stop thinking about it, the logistics, the pros and cons, and just do the damn thing. You aren’t going to get going if you wait for something (or someone) to tell you to get going! I know I am being a little harsh, but I want you to know that every single one of these things are things I’ve said to myself. These are thoughts that bring you down and make everything more difficult. It really is as simple as changing your mind. That’s all you have to do to make it easier. How Much Money Are We Saving by Living in a Van?